A Fun New Recipe Experience! I live in a small, rural area with not much around. We have a large city near by, but sometimes I just need to run to the store for a few items. That is why I am so grateful that there is a Food Lion less than 5 minutes from me. It is located in the middle of no where, which works out great for me…lol Our store just finished a major remodel, and it is now my favorite place to shop. I have been going to the same store for over 6 years and the employees know me and are always super helpful. So, I was super excited when I was asked to submit a recipe to the new Food Lion recipe portal! 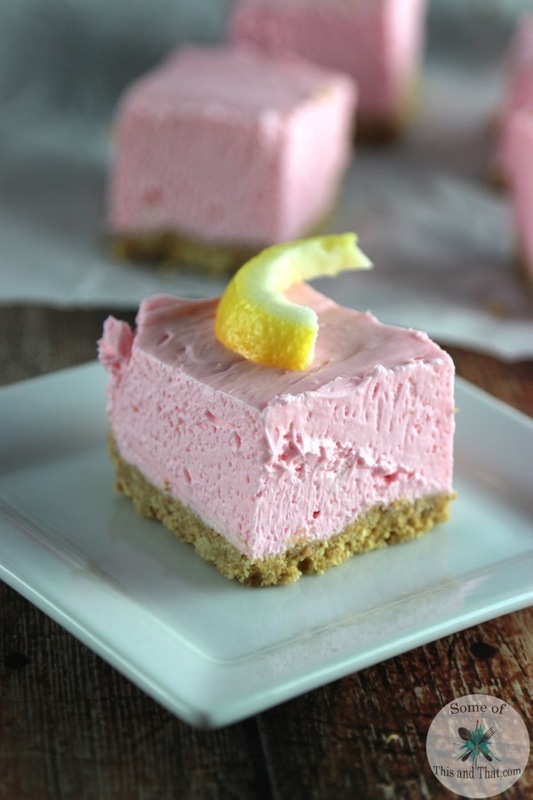 I opted to make some super yummy No Bake Strawberry Lemonade Cheesecake Bars for the site, which are both super easy and super yummy! They are perfect for the hot summer days we are having here in the south as well! 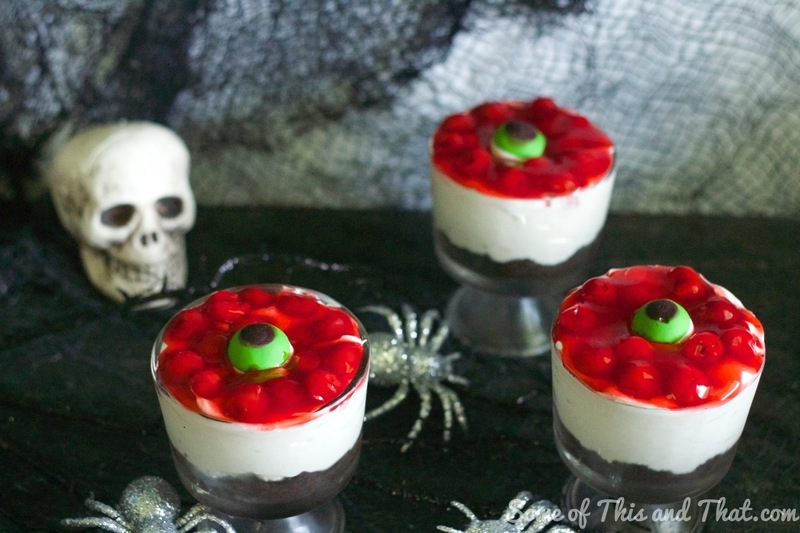 I found that it was really easy to submit my recipe to the site, they give you step by step instructions on how to do it, and it takes only a few minutes! This is great for those who do not blog, but still want to share their amazing recipes that they come up with. You can create a recipe on the portal and then you will have a link to the direct recipe emailed to you once it is approved. You can then share it with your friends and family and to your social media to show off your mad culinary skills! 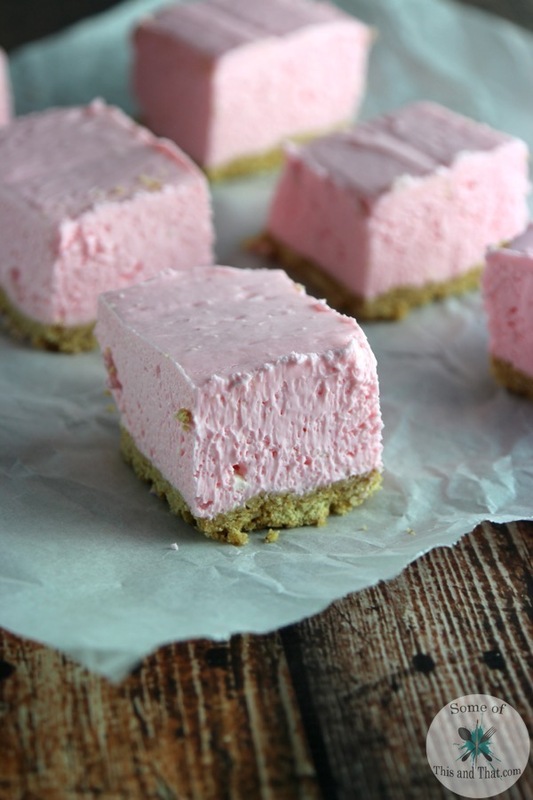 If you want to check out this amazing No Bake Strawberry Lemonade Cheesecake Bar recipe, head over to the portal now and check it out! 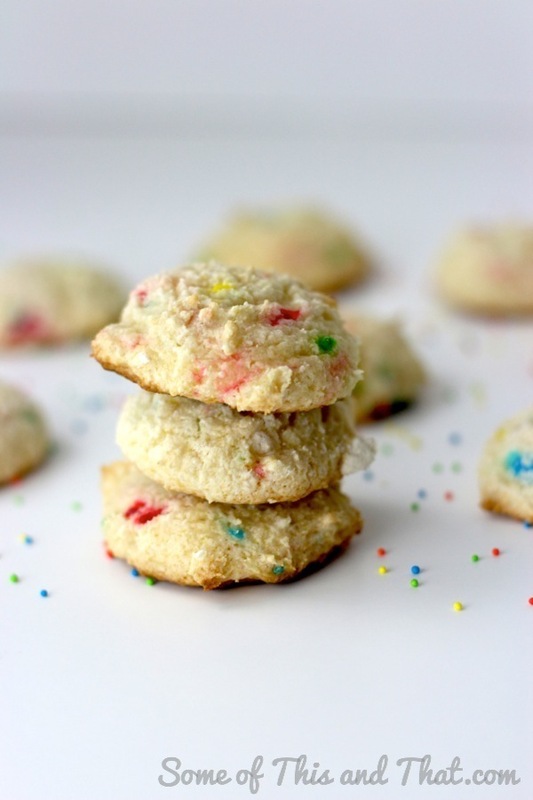 Funfetti Cookies! Only 3 Ingredients! I have a major sweet tooth, but sometimes I just do not feel like going into full on cookie mode. When I want a cookie, I do not always want to get together a bunch of ingredients or my stand mixer. 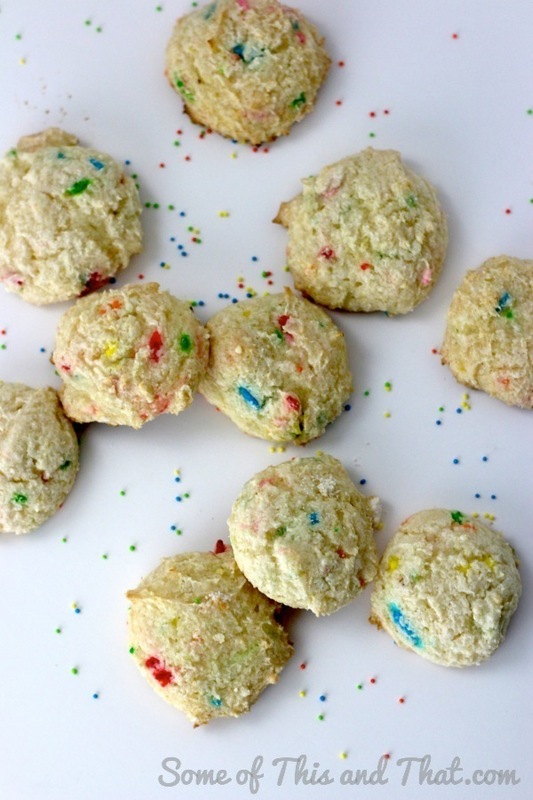 These Funfetti cookies are great for when a sweet craving hits, they are simple to make with only 3 ingredients, and take about 20 minutes to make from bowl to mouth! If you are not a Funfetti fan, you can easily swap out any of your favorite flavor cake mixes! 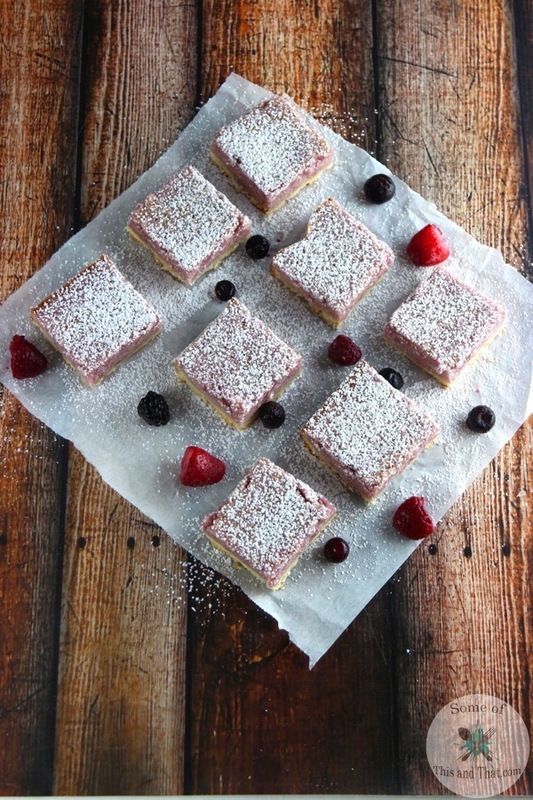 For the holidays, I made this recipe with lemon cake mix and rolled the dough into powdered sugar before baking, and they were amazing! These cookies are a great combination of a cookie and cake! 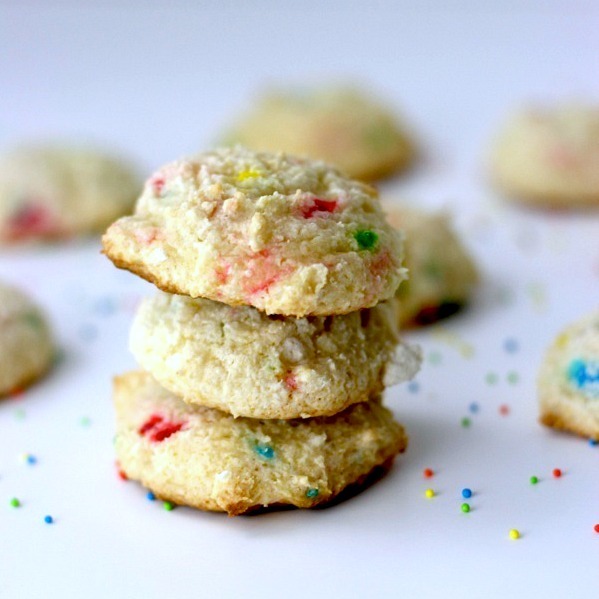 The secret to the perfect Funfetti cookie is to not over mix the batter. Just mix it until just combined, and you will have a nice fluffy and moist cookie! Combine all ingredients into a large mixing bowl until just combined. Scope 1 inch balls of dough and place 2 inches apart on to baking sheet. Bake for 8-10 minutes, or until the edges are light golden brown. 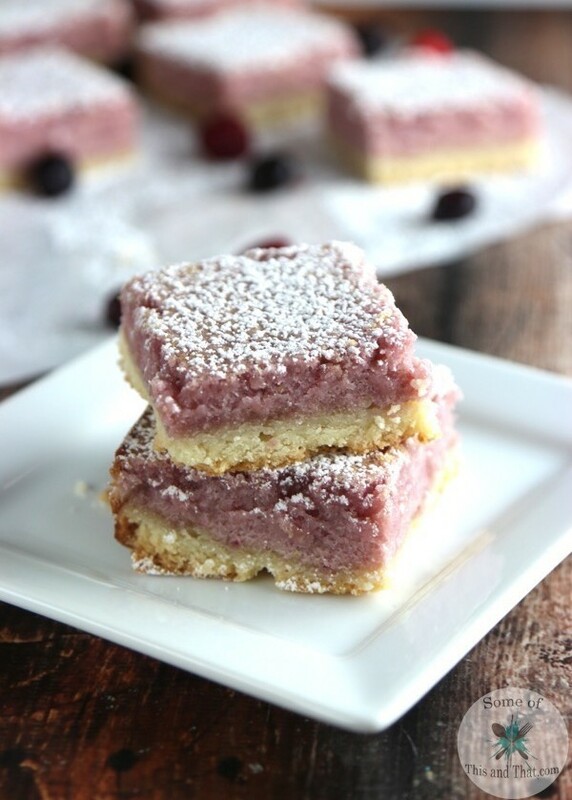 These Berry Lemonade Bars are a simple and yummy recipe for the hot summer months! Who doesn’t love a good easy summer recipe? One of my favorite parts of summer is the fresh veggies and berries that I can collect around my yard. Last year we planted a Berry Patch, even though we already had a ton of berry bushes around the property, I wanted more! And, I have plans this fall to plant another… But, now I have a problem, a good problem, but still a problem. I have a ton of frozen berries in my freezer from last year, and now it is time to harvest even more! 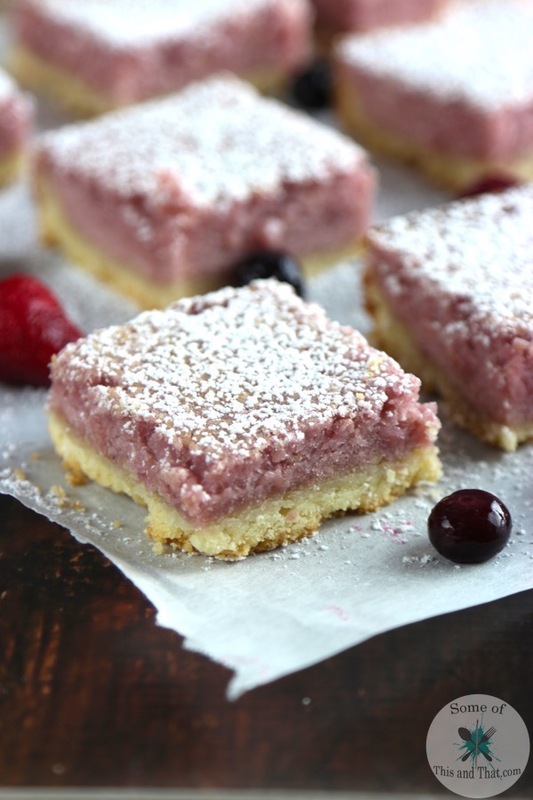 So, it was time to pull out the frozen berries and make something yummy! They have just the right amount of zing from the fresh lemon juice and the sweetness of all of the yummy berries that I used. 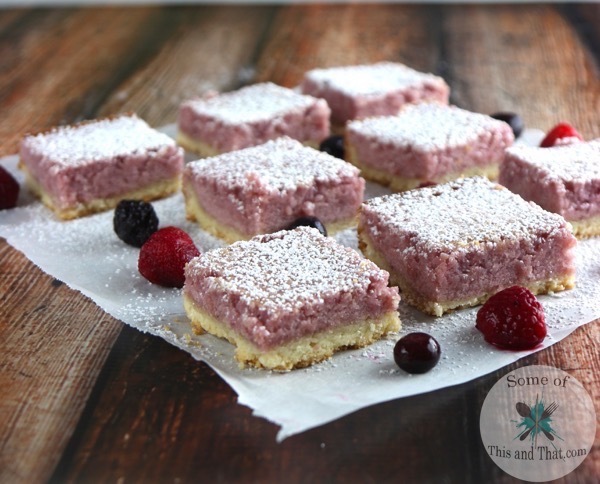 For this recipe I used a combination of strawberries, blueberries, blackberries and raspberries. You can use all different kinds, or stick to your favorite. I figured I might as well pack as many berries into it as I could that way I could make room for this years harvest. This recipe would be perfect for a summer BBQ! 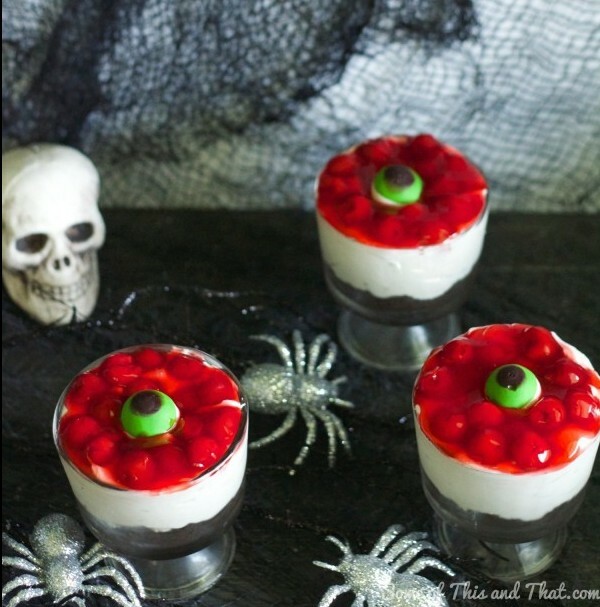 I will be making some more for the 4th of July because these will not last long in our home… They are THAT good! Preheat oven to 350 degree and line an 8x8 baking dish with parchment paper. In a mixing bowl, cream together butter and sugar. Incorporate flour in 1/4 cup increments, making sure well combined. Press crust into the bottom of the baking dish and bake for 20 minutes or until light golden brown around the edges. In a mixing bowl, combine egg, egg whites, sugar and lemon juice, mix until just combined. Incorporate flour and mix until just combined. Using a strainer or sieve, press berries over mixing bowl to get as much as the juice out as you can. Pour over cooled crust and bake for 25-30 minutes, or until center is set. Allow to cool at room temperature for 10 minutes and transfer to refrigerate to chill for 2 hours. If you follow me on Instagram, you know we are already in full Summer mode here. The temperatures have already hit 100 degrees so keeping cool is high on my priority list. With the kids almost done with school, I decided it was time to come up with some kid friendly treats to keep them cool while they are outside playing. 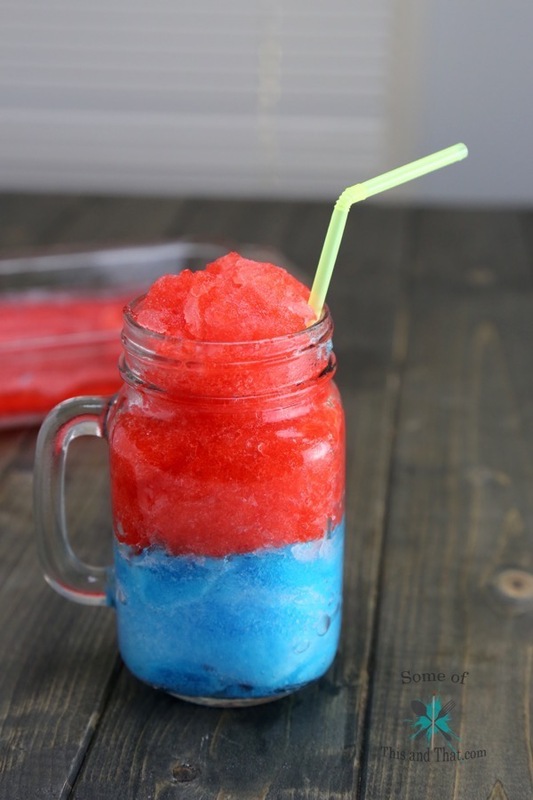 This JELL-O Slushy is just the thing! It stay frozen a lot longer than a traditional Slushy and the flavor combos are endless. Today I made a Strawberry Lemonade JELL-O Slushy and a Blue Raspberry Slushy! Both were amazing, and when I combined the two flavors I had an instant hit! 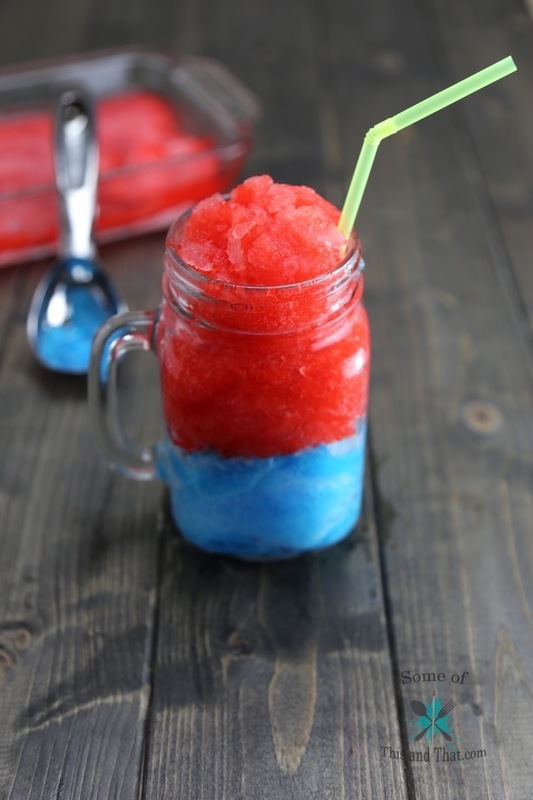 The red and blue JELL-O Slushy will be perfect for the upcoming 4th of July Holiday, super fun and festive! But, like I said, any flavor combos will work. I may have to make a Watermelon flavor soon! For the Strawberry Lemonade JELL-O Slushy I used Strawberry Lemonade with gave it just the right amount of tart to counteract the sweetness of the JELL-O. 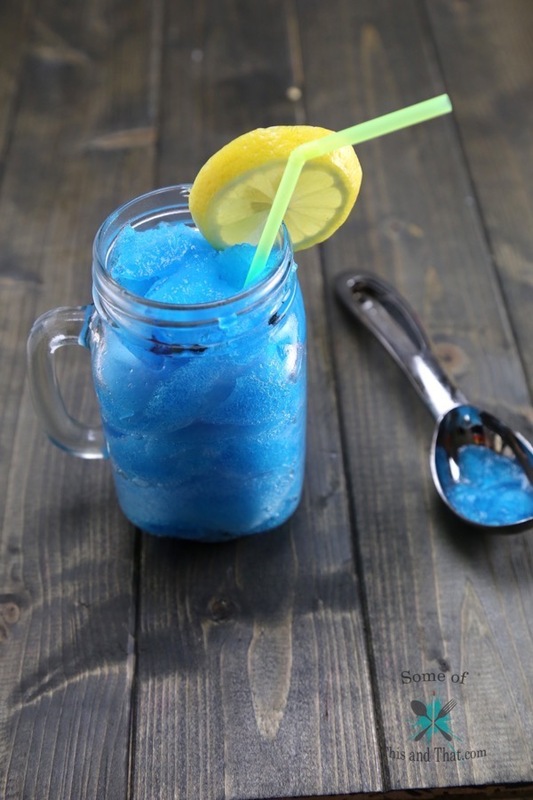 The Blue Raspberry I used a Lemon-Lime Soda. As long as the flavors mix well, the combos are really endless! Combine boiling water and JELL-O and mix until dissolved completely. 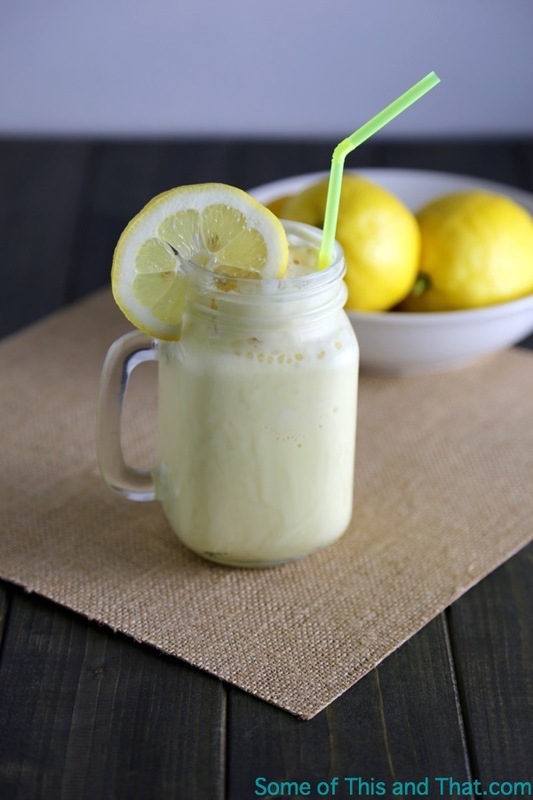 Mix in lemon juice and juice/soda (if using Soda, it will fizz a bit). Pour into a baking dish and freeze for 3-4 hours, or until hard. 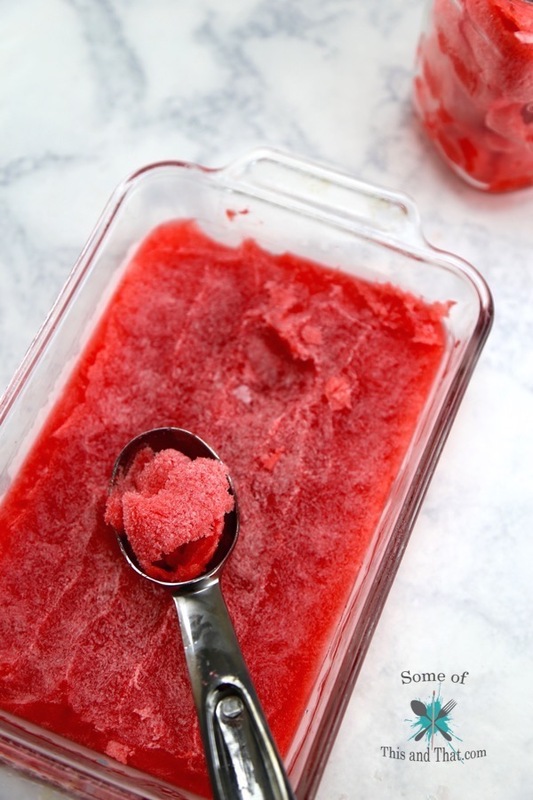 Remove from freezer 5 min before serving and use a spoon or ice cream scoop to scrape the slushy out. Add a little more soda/juice to glass before serving. Temperatures have been heating up here in North Carolina, which means summer has made an early appearance. That means that my craving for ice cream is pretty much in overdrive. There is nothing better than a nice cool treat after being out in the heat working on the yard. I had also been eyeballing fresh lemons from our local farmers market, and I knew that I wanted to do something that involved lemons, so I combined them! 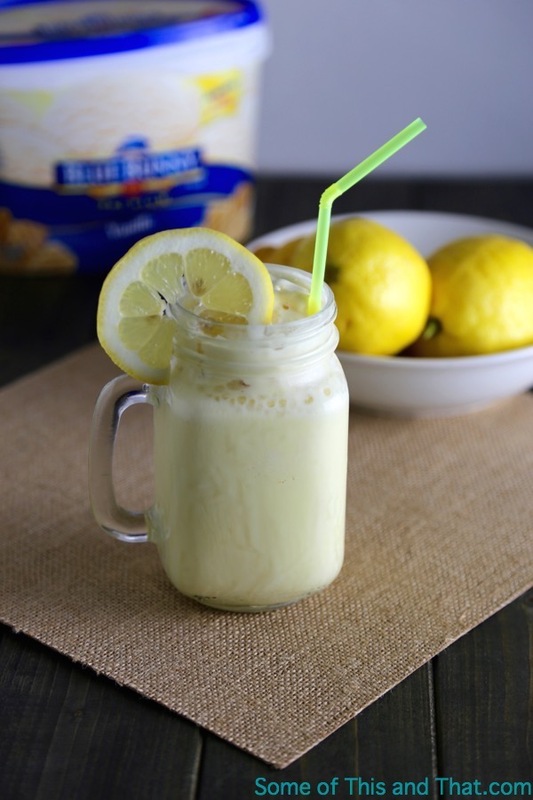 This yummy Homemade Frozen Lemonade Recipe is the prefect combination of sweet and tart and only takes a few minutes to make! 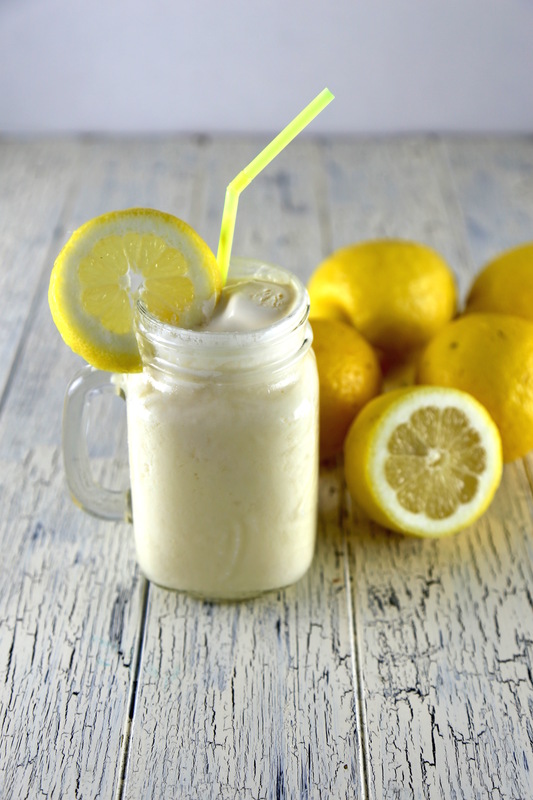 All you need is some ice, sugar, fresh lemons and vanilla ice cream. 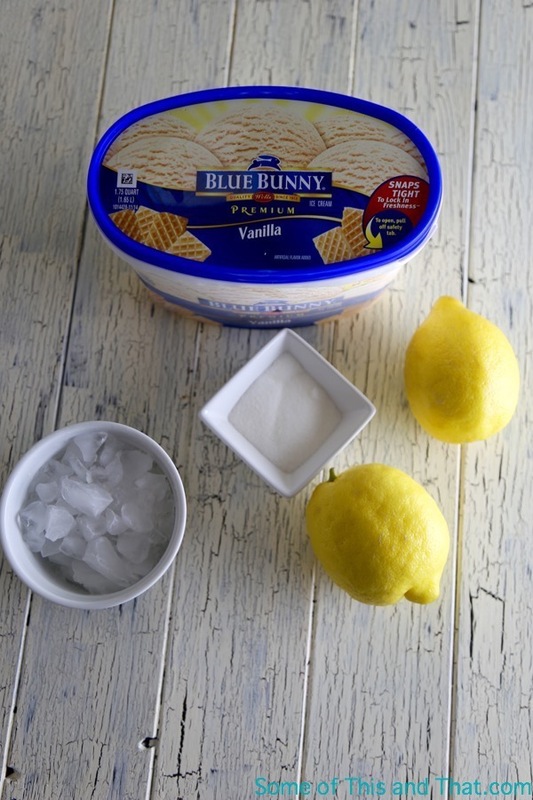 I used the Blue Bunny Premium Vanilla, which is pretty much my favorite vanilla ice cream made! 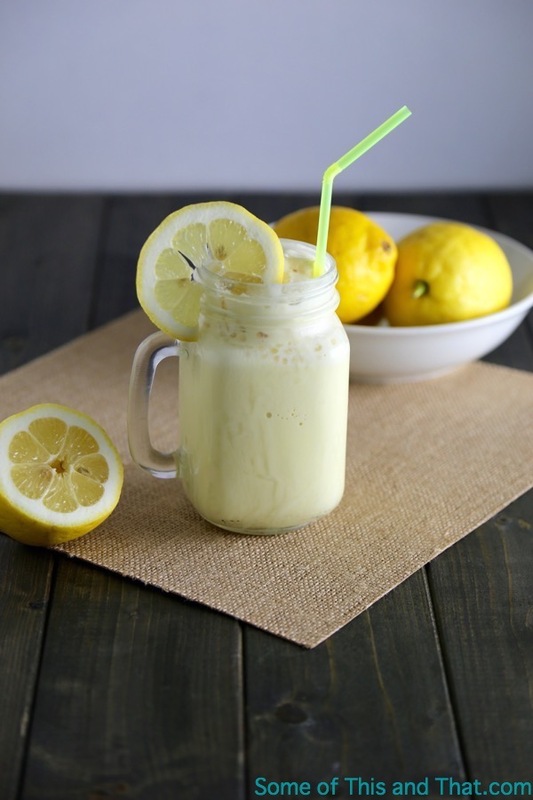 You can use store bought lemonade or even store bought lemon juice, but nothing beats freshly squeezed in my book! After you have assembled your team of yummy ingredients, just pop it all into a blender or food processor! Blend until smooth and serve right away! You can add as much sugar as you like, or omit it all together if you like things a little more tart. I only add a little to cut through the sourness of the lemon. 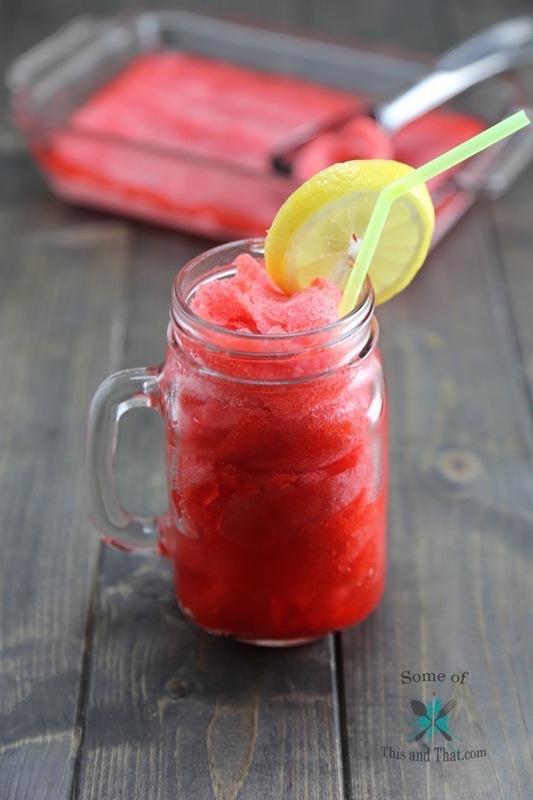 The possibilities are really endless with this recipe though, I think the next batch I will use the Double Strawberry to make a frozen pink lemonade! 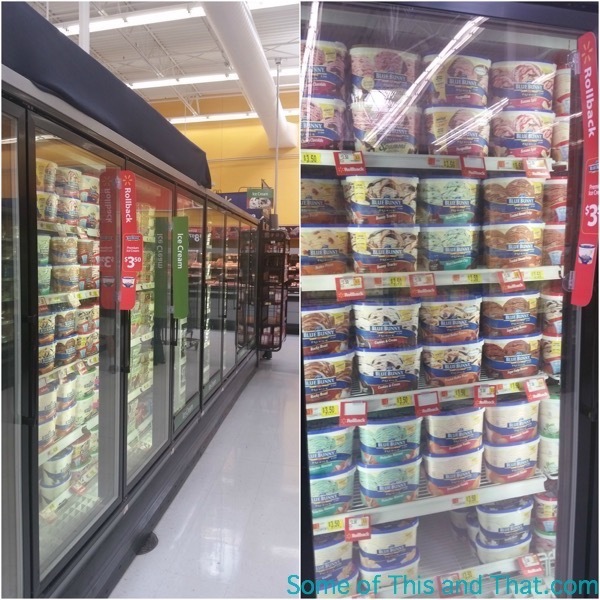 Be sure the next time you are at Walmart to check out all of the yummy flavors that Blue Bunny has to offer! I recommended the Pistachio Almond… So yummy! Also, be sure to check out the Blue Bunny demos at Walmart from 5/21/2015 – 5/24/2015 in the produce section of your store, you can see a list or participating stores here! Combine all ingredients into a food process or blender. So, what is your favorite flavor of ice cream? 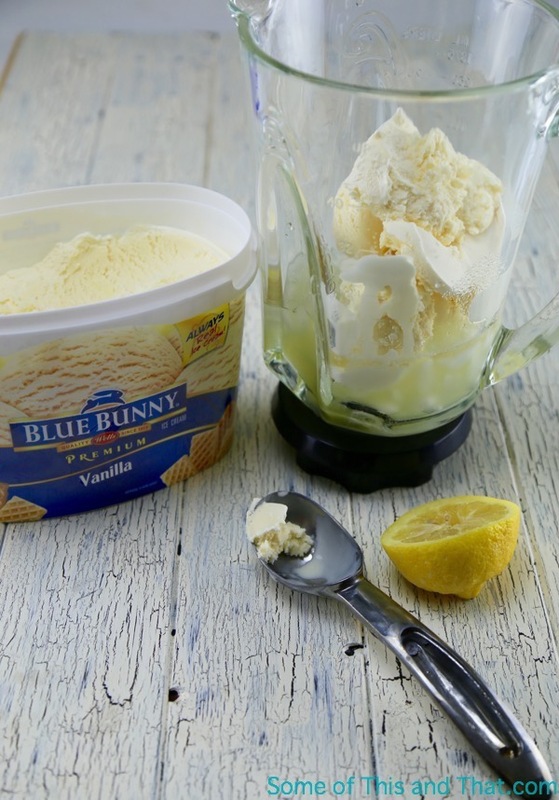 Are you a traditional vanilla, or do you like to mix it up? 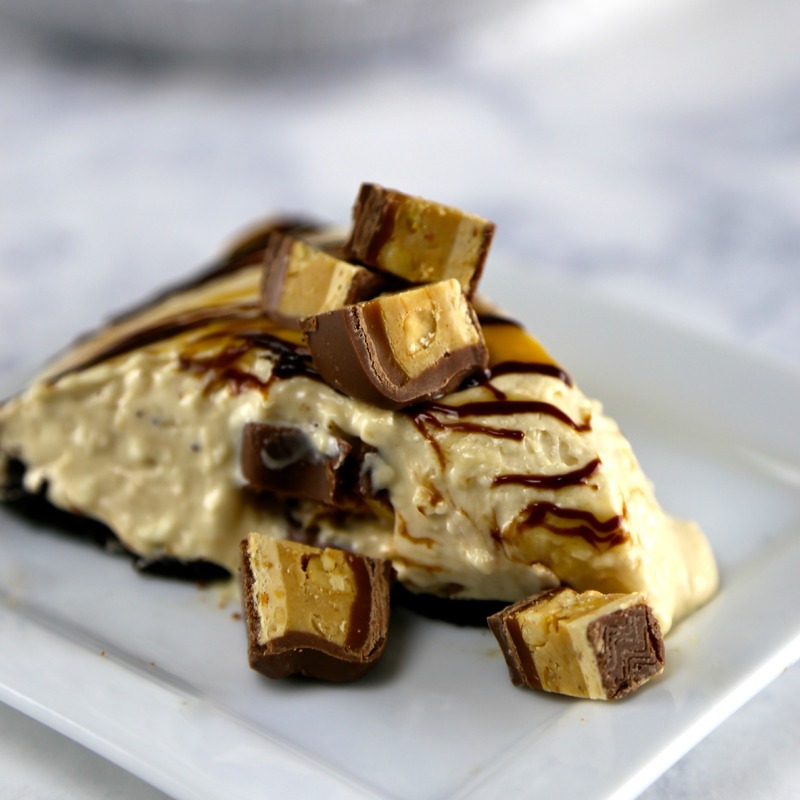 No Bake Snickers Peanut Butter Pie! As I have mentioned many times before, I am a bit of a chocolate and peanut butter addict. They don’t always have to be together, they are perfect all by themselves too. But, when they get together, there is just something magical about it. With the Spring here, and the weather warming, it means it is time for family gatherings and fun BBQ get togethers. I’ll admit, I have put off making something to take to a party on more than one occasion, but that is why this No Bake Snickers Peanut Butter Pie recipe is great! Minimal effort with a big payoff! 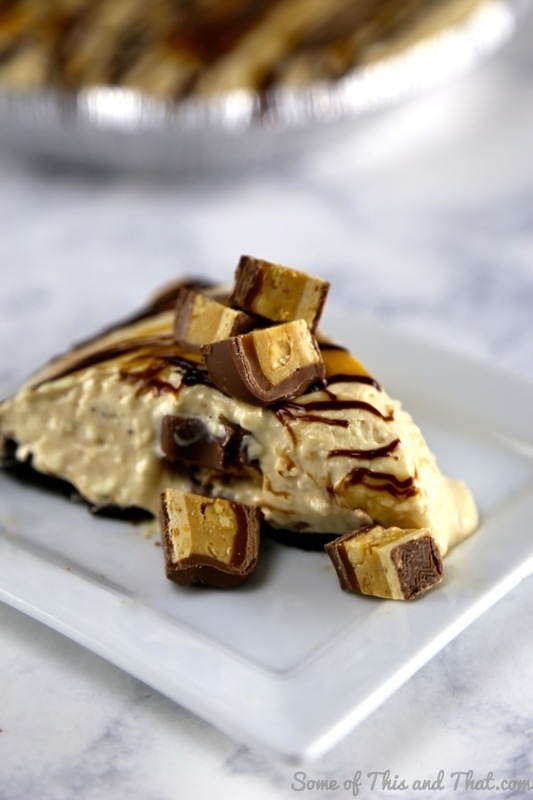 Plus, it may look like a simple peanut butter pie, but when friends and family slice into it, there is a hidden surprise of Snickers peanut butter squares hiding at the bottom. 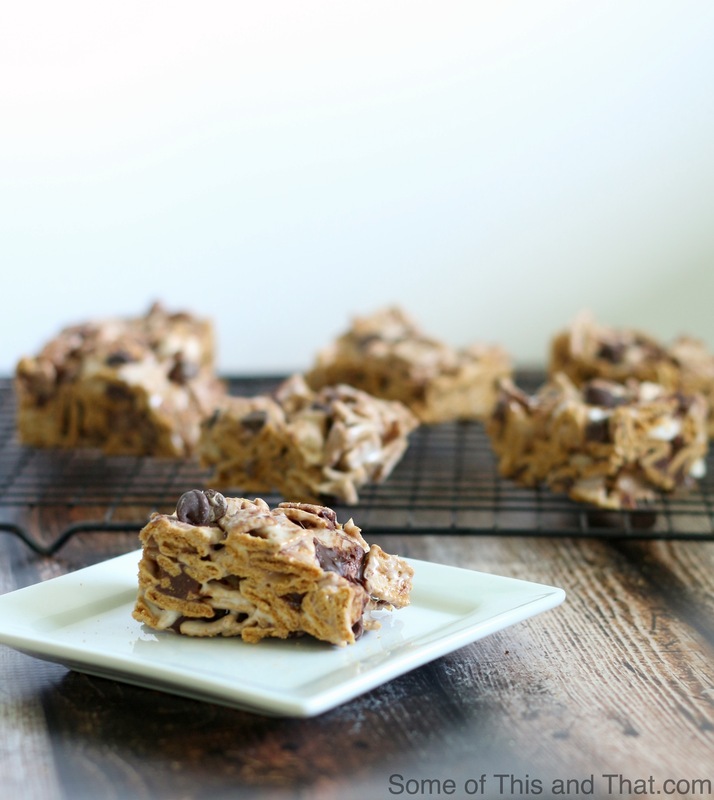 The filling is rich and creamy and the Snickers give it a nice little crunch as well! Yum! In a large bowl, combine Cool Whip, cream cheese, peanut butter and sweetened condensed milk. Mix until well combined and there are no lumps. 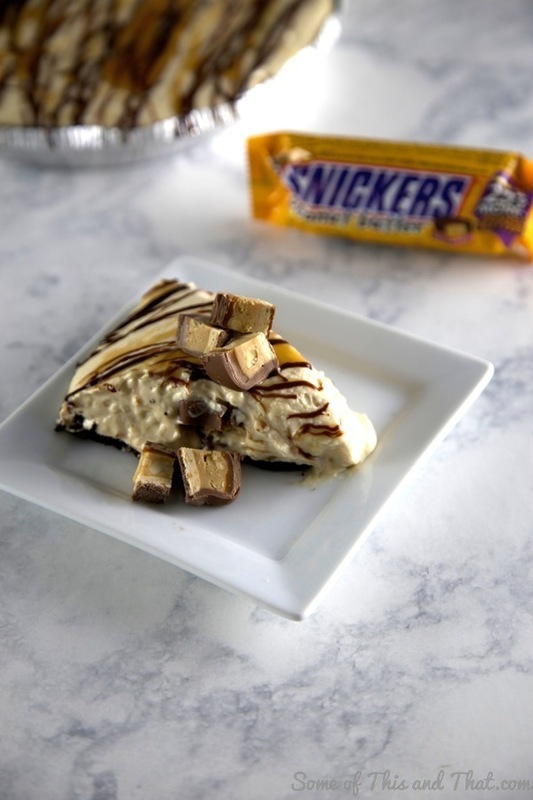 Place chopped Snickers on the bottom of the pie pan and cover with the cream cheese filling. Refrigerate for 1-2 hours or until firm. For a last minute prep, place in freezer for 30 minutes. 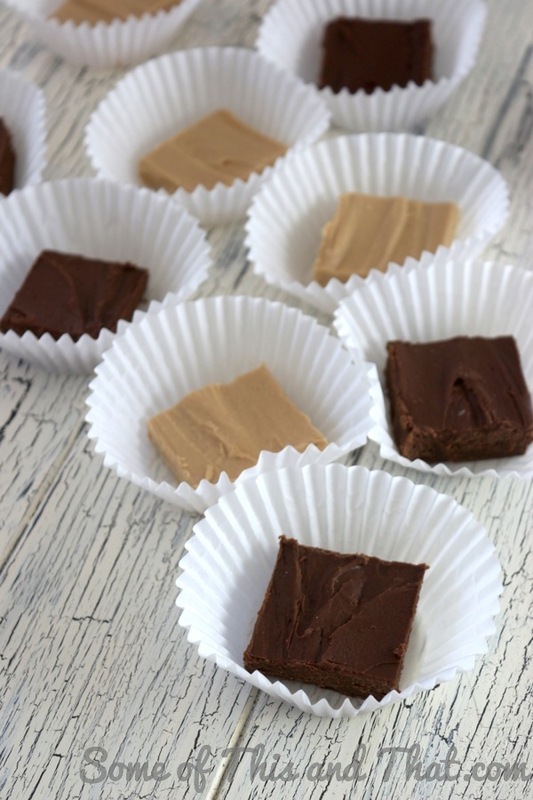 2 Ingredient Fudge with tons of combinations! AHHH! I am so behind this year with Holiday stuff, that I almost forgot to make goodie bags for my neighbors and friends. Of course, this meant that I would be pulling out the big guns when it comes to last minute DIY gifts. 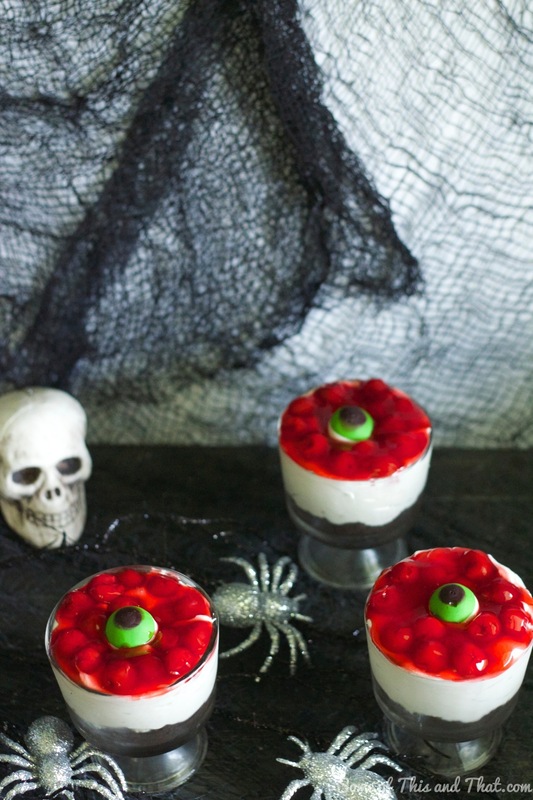 I already have my 3.2.1 cake mix ready to go, but I wanted to also include a yummy snack that was ready to eat! 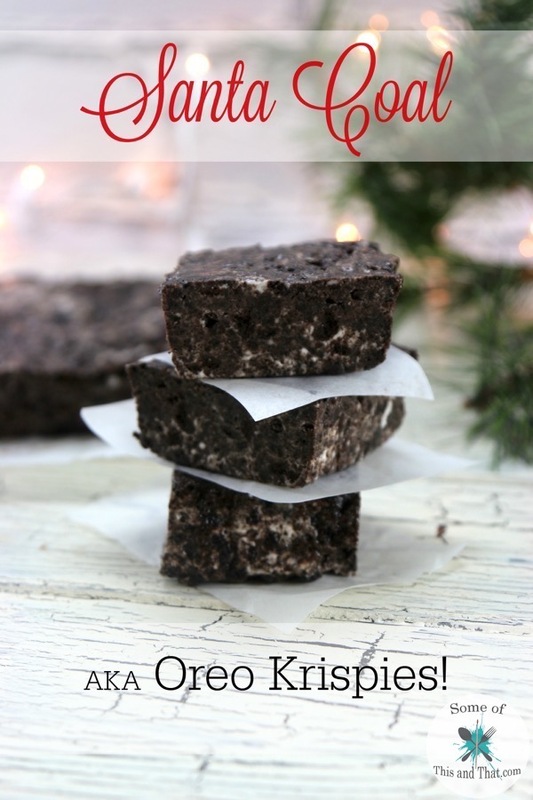 This 2 Ingredient Fudge fits the bill perfectly! 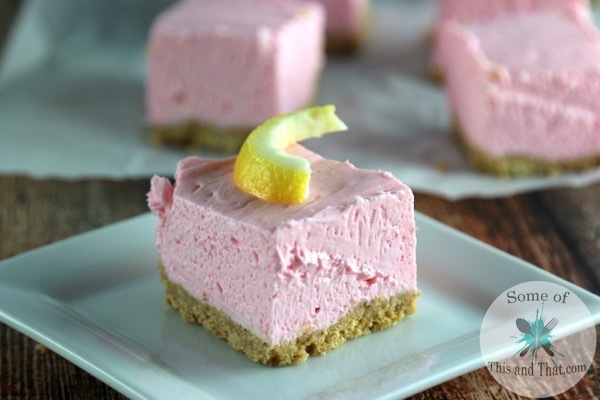 It only takes 2 ingredients, and literally 2 minutes to make! Plus, there are ton of flavor combinations that you can make! The sky is the limit! 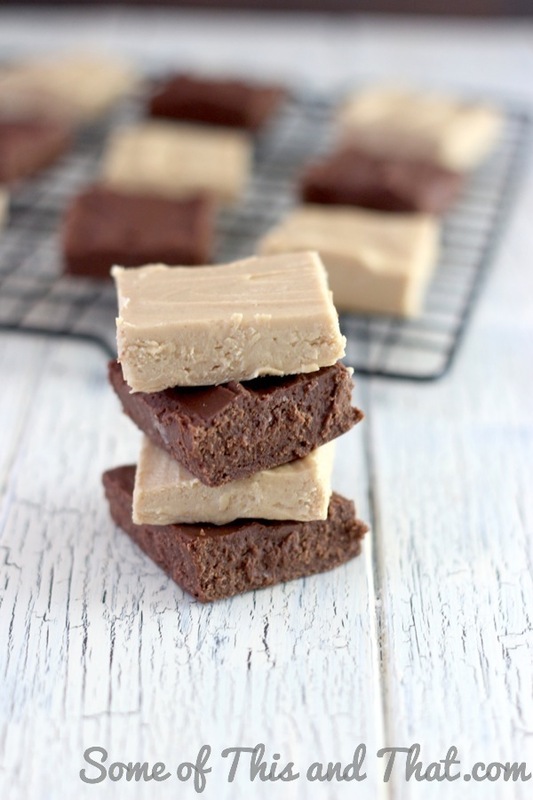 Now of course, peanut butter and chocolate are my all time favorite combos, but this fudge doesn’t end there! Here is a list of some of my favorite combos! 1 Can Vanilla Frosting + 2 Cups Creamy Peanut Butter = Peanut Butter Fudge 1 Can Chocolate Frosting + 2 Cups Chocolate Chips = Chocolate Fudge 1 Can Vanilla Frosting + 2 Cups White Chocolate Chips = Vanilla Fudge 1 Can Strawberry Frosting + 2 Cups White Chocolate Chips = Strawberry Fudge 1 Can Vanilla Frosting + 2 Cups White Chocolate Chips + 1 tsp Mint Extract + 1/2 Cup Crushed Oreos = Mint Oreo Fudge 1 Can Orange Flavor Frosting + 2 Cups White Chocolate Chips = Orangesicle Fudge 1 Can Vanilla Frosting + 2 Cups White Chocolate Chips + 1/2 Cup Crushed Candy Canes = Peppermint Fudge I think you get the idea here. Don’t forget that you can add in extras like nuts and candy as well to make it even more special! To make any of these fudge recipes, you simply melt the chocolate chips in the microwave for 30-45 seconds, stirring every so often. Then add in your frosting and stir until well combined! 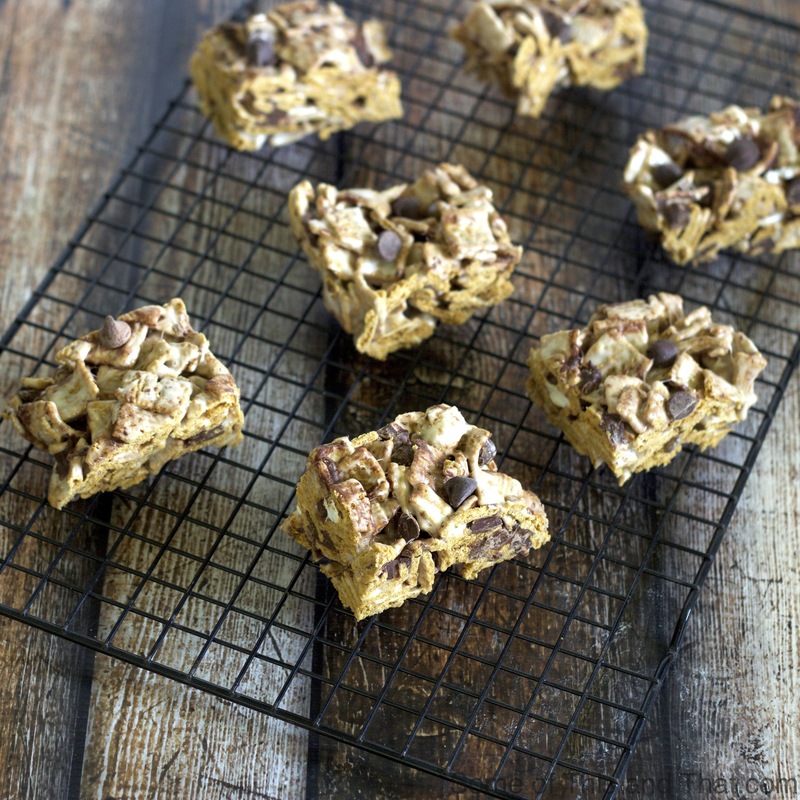 Pour out into a lined 8×8 baking pan and refrigerate for 1 hour! What is your favorite flavor combination for fudge? Melt the chocolate chips in the microwave for 30-45 seconds, stirring every so often. Add in your frosting and stir until well combined! 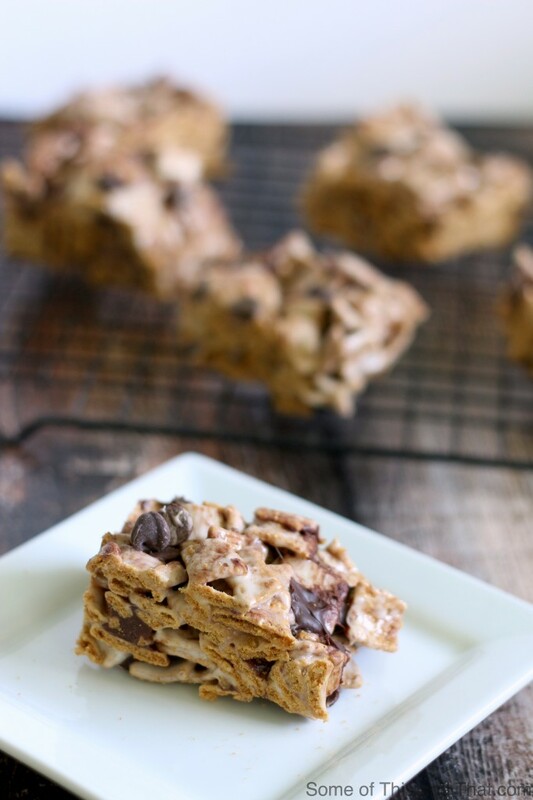 Pour out into a lined 8x8 baking pan and refrigerate for 1 hour!